Many of us have been conditioned to think of bacteria as the enemy. Antibacterial products are big business, as folks strive to keep their environment and body as antiseptic as possible. But is this the right approach? After all, not all bacteria are harmful. A good many are even beneficial. Hundreds of species of bacteria normally live in the human mouth. Only some of them are responsible for causing dental caries, more commonly known as tooth decay. The problem isn’t the bacteria themselves but the acids they produce after eating the sugars and other fermentable carbs that you eat. Those acids leach minerals out of your tooth enamel, and over time, this creates small pits in your teeth. If left unchecked, these pits eventually become cavities, extending into the softer middle tooth layer, the dentin. Samples of dental plaque were taken from 25 young adults with cavity-free mouths. The researchers then performed DNA analyses to detect and measure total bacteria, along with five pathogens: Streptococcus spp., Streptococcus mutans, Lactobacillus spp., Enterococcus spp., and Enterococcus faecalis. (The “spp” means “all species.”) They also looked for Candida albicans, a fungus that appears to work with S. mutans to form stronger biofilms (plaque). 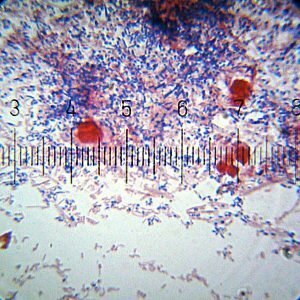 Streptococcus spp. and Lactobacillus spp. were detected at all tested sites and Enterococcus spp. at 99% of sites. S. mutans was detected at only 28% of the tested sites and C. albicans was detected at 11% of sites. E. faecalis was never detected. In 54.5% of the biofilm inhabited by C. albicans, S. mutans was present. Moreover, 28% of the ID sites co-expressed S. mutans and Lactobacillus spp. Granted, this is a small sample, yet it clearly suggests that just having cavity-causing bacteria in your mouth doesn’t necessarily mean that you’ll get cavities. In fact, some species are so common, it would appear next to impossible to avoid them. They’re going to be there. The question is how to control them, to keep them from causing problems. One way is to practice good dental hygiene, brushing twice a day and flossing (at minimum). Do avoid harsh products such as those with triclosan, though. These kill the good bacteria along with the bad. Our resident microbes have coevolved and coexisted with us in a mostly harmonious symbiotic relationship…. The mouth houses the second most diverse microbial community in the body, harboring over 700 species of bacteria that colonize the hard surfaces of teeth and the soft tissues of the oral mucosa… Perturbations of the oral microbiome through modern-day lifestyles can have detrimental consequences for our general and oral health…. [If] the finely-tuned equilibrium of the oral ecosystem is disrupted, [it causes] disease-promoting bacteria to manifest and cause conditions such as caries, gingivitis, and periodontitis. In other words, it’s natural and healthy to have bacteria living in your mouth. The key is to keep them in balance, with plenty of the good guys and far fewer of the bad. Oral probiotic supplements are likewise an option, as are probiotic (and even prebiotic) toothpastes. With such tools, so much of the fate of your mouth is in your control.